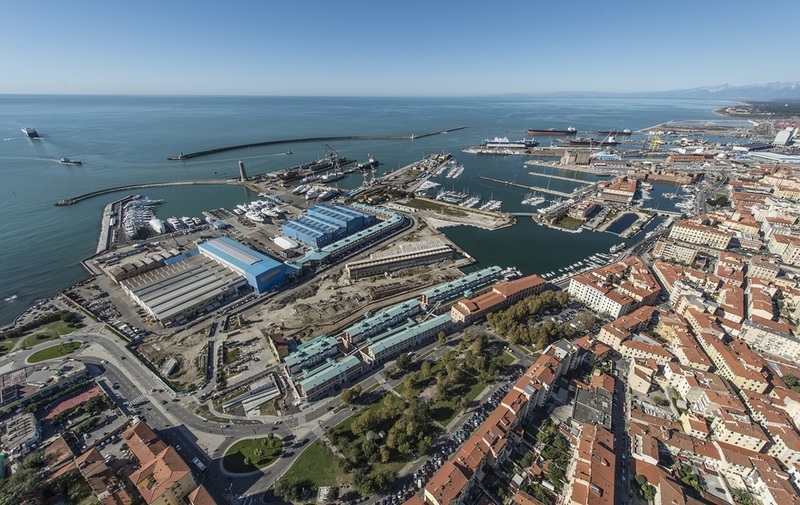 For its 2019 Annual Conference, ESPO is taking you to Livorno, Tuscany’s premier port. The conference will be kindly hosted by the Port Network Authority of the North Tyrrhenian Sea on 23-24 May. The theme of this 16th edition of the ESPO conference is “Europe’s ports in a new world” and will look into the biggest game changers that oblige port managing bodies and the port and maritime industry in general to change and maybe re-invent themselves. “For me the days of the port authority simply acting as a superintendent are gone. Ports must engage with port-based industries and operators to influence and assist in the enormous changes that must come about,” explains Eamonn O'Reilly, ESPO Chairman. The ESPO conference will set off with an impressive line-up of inspirational speeches drawing up this “new world” we are entering in. In five subsequent sessions, speakers and audience will be exploring different upcoming game changers in more detail and will try to find answers to different questions. What are the new technologies? Who are the new players? How to prepare for a new trade and geopolitical environment? What is the future of work in the port sector? And what can be expected from the new port? What does the port need to be able to play its role? What about policy? What should we expect from the new Commission and Parliament? Faig Abbasov, Yves Adriaensen, Richard Ballantyne, Dame Inga Beale, Joyce Bliek, Kurt Bodewig, Christine Cabau, Stefano Corsini, Zeno D'Agostino, Cleopatra Doumbia-Henry, Iana Dreyer, Päivi Haikkola, Robert Hall, Hans Huygens, Magda Kopcynska, Markus Kückelhaus, Wilfried Lemmens, Silvia Maffii, Jens Meier, Pino Musolino, Theo Notteboom, Bogdan Oldakowski, Eamonn O'Reilly, Katharine Palmer, Alessandro Panaro, Sotiris Raptis, Daniele Rossi, Isabelle Ryckbost, Steven Shladover, Livia Spera, Erich Staake, Matt Stone, Martin Stopford, Peregrine Storrs-Fox, Alisa Tiganj, Danilo Toninelli, Wim van de Camp. Needless to say for those who joined us before, the ESPO conferences are more than just a conference. Also this year, we have foreseen different networking moments in the fantastic setting of the Livornese heritage. Imagine discussing the new world and its impact on ports in a beautiful 19th century theatre and, for the Conference Dinner, enjoying the Livornese cuisine with the other delegates in an old medieval Fortress in the middle of the port. So reasons enough to fill in the registration form now and be part of this annual highlight of and for the European Port Industry.